There are 18 Assisted Living Facilities in the Janesville area, with 8 in Janesville and 10 nearby. 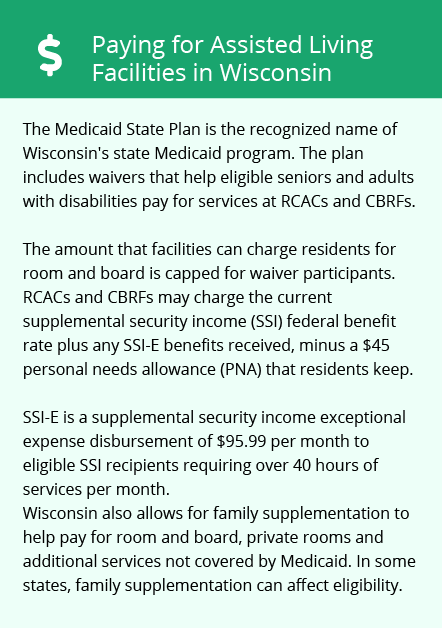 The average cost of assisted living in Janesville is $3,590 per month. This is higher than the national median of $3,346. Cheaper nearby regions include Milton with an average starting cost of $3,387. To help you with your search, browse the 48 reviews below for assisted living facilities in Janesville. On average, consumers rate assisted living in Janesville 4.2 out of 5 stars. Better rated regions include Milton with an average rating of 4.5 out of 5 stars. Caring.com has helped thousands of families find high-quality senior care. To speak with one of our Family Advisors about assisted living options and costs in Janesville, call (855) 863-8283. Janesville, Wisconsin is an ideal spot for seniors who love outdoor recreation, as this city is sometimes referred to as Wisconsin's Park Place with a 2,590-acre park system that includes 64 parks, golf courses and nature trails. In addition to fresh-air lovers, seniors who enjoy history will appreciate that 20 percent of Wisconsin's National Register of Historic Places are located in Janesville. The city's senior population, roughly 9,654 persons, can choose to between 34 assisted living facilities in the Janesville area. 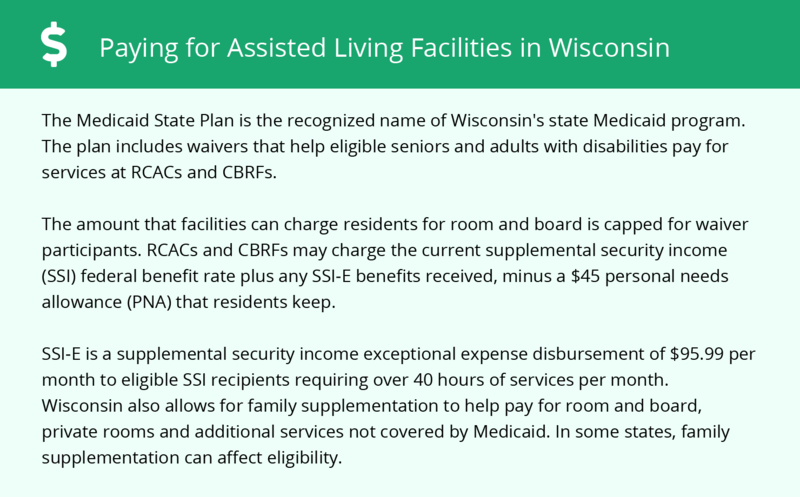 Assisted living facilities (ALF) in Janesville, as well as the rest of Wisconsin, are facilities that supervise seniors with some level of need who choose not to live with 24-hour nursing care, and each is licensed and regulated by The Wisconsin Department of Health Services. On a scale of one to 100, Janesville's air quality is ranked at 63 in comparison to the nation's ranking of 58. Seniors should be aware that though Janesville's air quality is slightly better than the national average, bad air quality can aggravate various respiratory diseases. In the city of Janesville, public transportation is offered by Janesville Transit System. This transit system provides citizens over the age of 65 half-fare passes and free paratransit service. If seniors are looking to travel to Madison or Chicago, the Van Galder Bus Company operates a bus service from Janesville. The Janesville area is home to world-class medical facilities, including Mercy Hospital and Trauma Center and St. Mary’s Janesville Hospital, in the event of medical emergencies or illness. Janesville receives a B- grade (on a scale of A-F) for the number of crimes in the area. This is because the average crime rate in Janesville is 5 percent higher than the national mean. In other words, seniors should be aware that they have a one in 34 chance of becoming a victim of crime in Janesville. Janesville has an array of community resources for seniors, including the City of Janesville Senior Center, an organization that offers field trips, free repairs on wheelchairs and health screenings. Temperatures hardly exceed 72 degrees in Janesville. Seniors who are negatively affected by cold weather or seasonal depression might consider looking outside of Janesville for ALFs. Assisted Living costs in Janesville start around $3,590 per month on average, while the nationwide average cost of assisted living is $4,000 per month, according to the latest figures from Genworth’s Cost of Care Survey. It’s important to note that assisted living rates in Janesville and the surrounding suburbs can vary widely based on factors such as location, the level of care needed, apartment size and the types of amenities offered at each community. Qualifying seniors can receive additional Social Security income to help pay for assisted living through the Exceptional Expense Supplement for Members of Supplemental Security Income (SSI) program or financial aid through Medicaid's Medical Assistance Personal Care program. To see a list of free assisted living resources in Janesville, please visit our Assisted Living in Wisconsin page. Janesville-area assisted living communities must adhere to the comprehensive set of state laws and regulations that all assisted living communities in Wisconsin are required to follow. Visit our Assisted Living in Wisconsin page for more information about these laws.